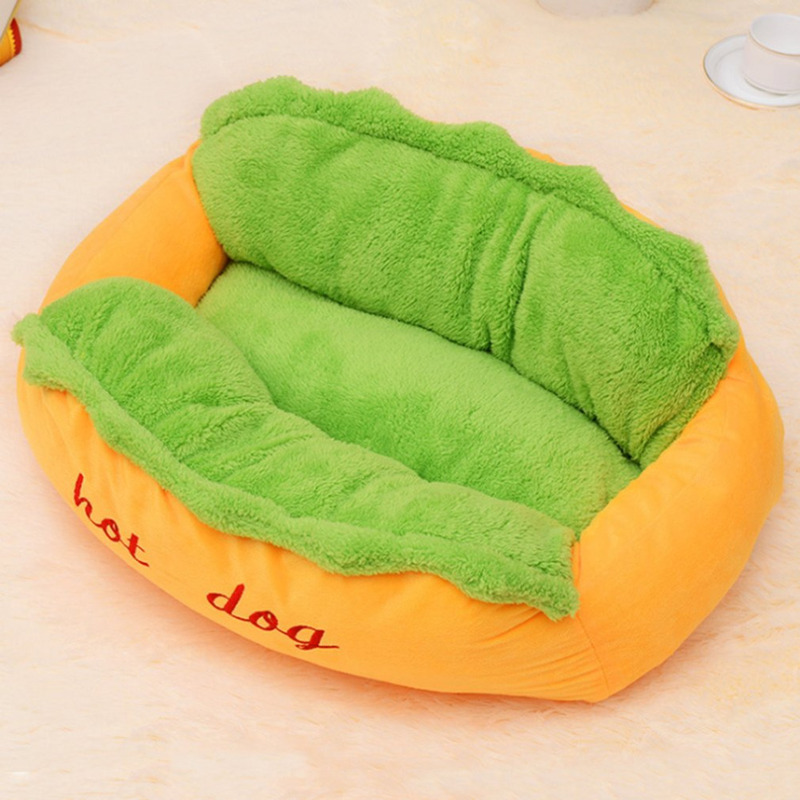 Give your dog the gift of a comfortable sleep and resting time, with this hot dog themed bed featuring breathable, stone-washed fabric and soft foam filling. 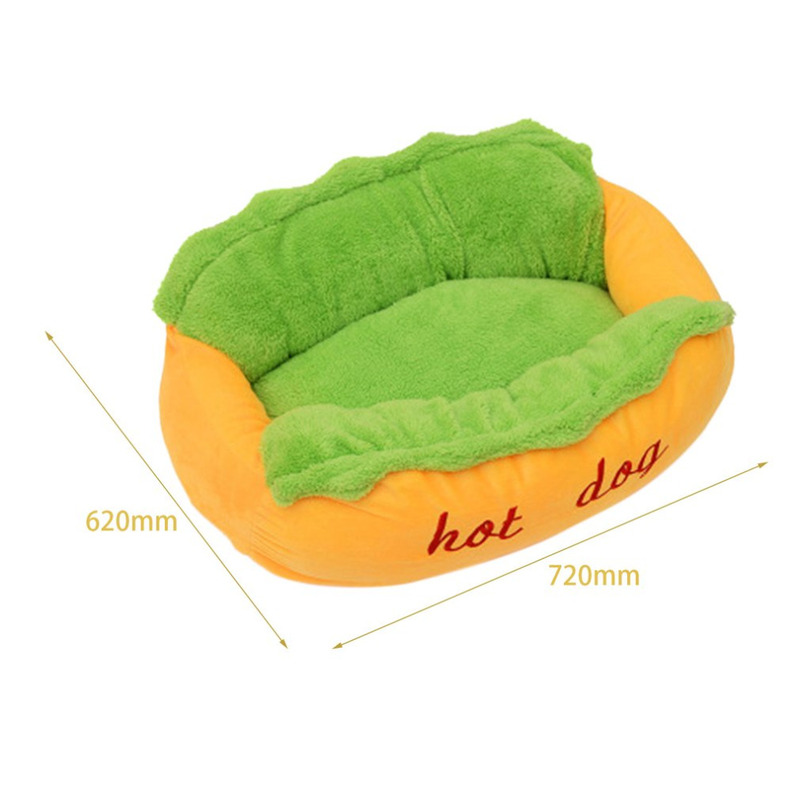 Suitable for all ages, sizes, and breeds of dogs, the bed is extremely durable, easy to clean, and machine washable. 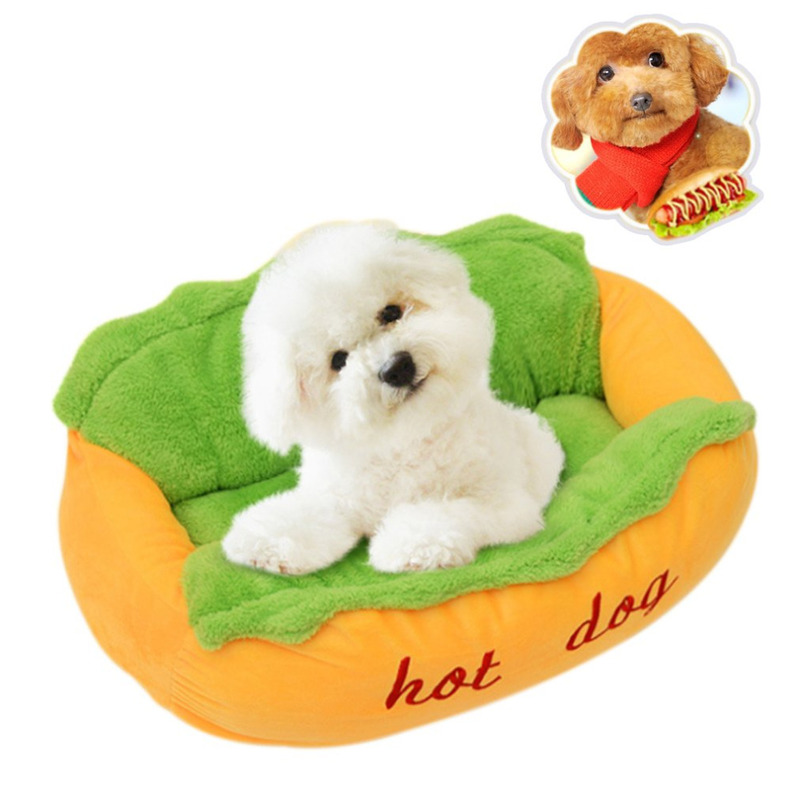 Made of high quality fleece, the hot dog bed for dogs is filled with polyfill cushion and has an anti-skid bottom. Ideal for both outdoor and indoor use, you can easily park your four-legged friend on your porch or garage, while you go around your daily business. 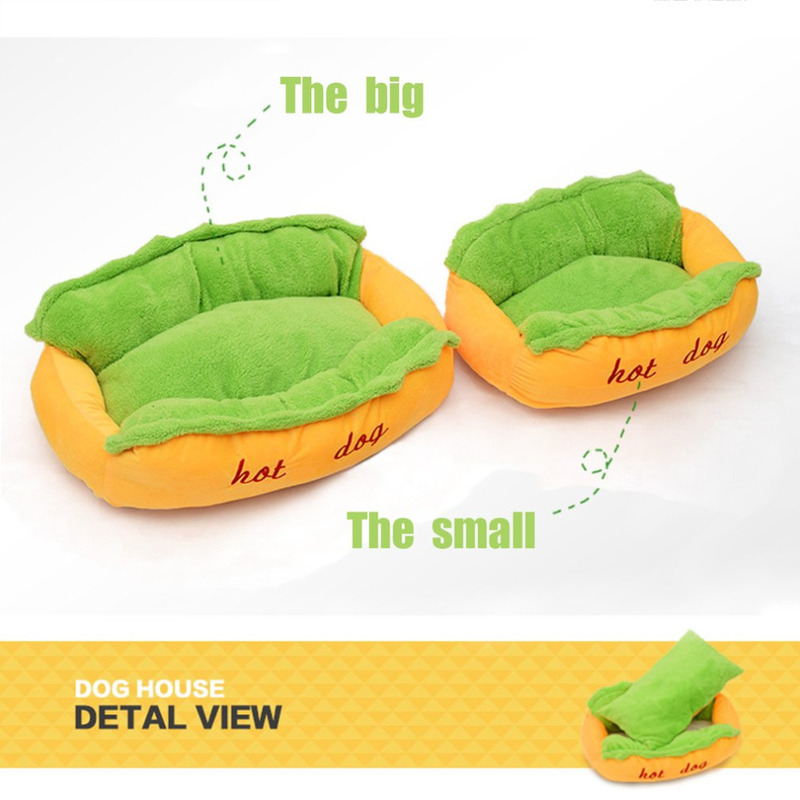 The velvet touch, ultra-soft material ensures maximum comfort for your pet, during all seasons of the year. The inner lining of the bed is rip stop nylon, that is considered liquid and odor resistant. To make ensure that your furry friend feels secure and snug, the middle cushion is made of plush polyester and is also removable. Anytime your pet creates a mess in their bed, you can simply deconstruct the bed and wash and dry the individual components separately. The compact, space-saving design makes it easy to store the, when not in use. 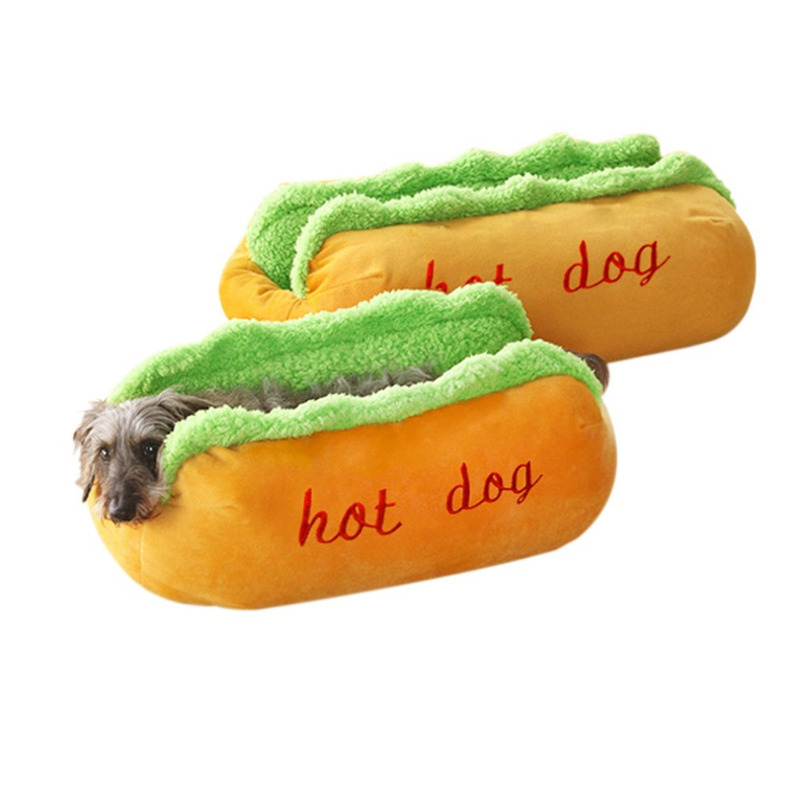 Pamper your pooch with this dog bed for puppies, and add to your pet accessory collection!